To correctly set up your new PPPoker account you must uninstall any existing software and clear cookies. Check the browser icons for more details. Click the "Download Now" button to start. You'll be taken to PPPoker website to download the software and create your new PPPoker account. Please send us your PPPoker Username registered at previous step. PPPoker has recently surpassed PokerMaster and become the most popular Asian poker app in 2019, a trend that has begun in late 2017 with play money apps running real money games within restricted markets. While these mobile apps have been created as a background for real money games, players can join them for free, but cannot deposit without using an agent. We advice all players to work with a trusted agent like RakeAdvisory. We cover this segment very well at the moment, being able to offer secure access to a large variety of PPPoker clubs, guaranteeing the safety of transactions. Moreover, by working with us, you will also be rewarded with some good flat rakeback deals which differ depending on each club. We offer probably the most exhaustive list of PPPoker clubs, where you can safely deposit and cashout through us and benefit from the best rakeback deals available for the Asian poker app. Each club has different currency, according to the country where it has been created. At PPPoker you will find more than 15 clubs from the following countries: Philippines, Thailand, India, USA, Singapore, Taiwan, Vietnam etc. As you can probably notice, most of the PPPoker clubs come from Asian countries. Nevertheless, RakeAdvisory also offers access to a new set of very soft US clubs, where the games are very good and you can play against US fish. For US Clubs, the currency exchange is also pretty straightforward, since you can exchange 1 chip for 1 USD. Below you have all details for the softest US clubs available. PPPoker App uses a weighted contributed rake formula charging very low rake in terms of percentages and cap values. Depending on each type of games there are different values for rake charged. Below you can check all details for each game. According to our PPPoker review, the Chinese poker app charges the lowest rake for OFC games, with only 3% per pot and 2 big blinds cap. This is a low amount in both percentages and cap values. For cash games, the PPPoker app charges 5% in the case of 6-max tables with a rake cap of 3BB. This is still good as compared with traditional poker networks which usually charge above 5% and with higher cap values. For Heads Up cash games rake is also extremely low - only 3% with 3BB cap. This is extremely unusual since usually rake is pretty much higher for Heads Up games. Last but not the least, in the case of 5 Card PLO games, rake is 5% with a very low rake cap of only 2 BB. Is PPPoker still an Asian Poker App? Traffic is growing fast on PPPoker attracting many new recreational players from all asian countries such as India, Singapore, Thailand, Taiwan, Philippines and Vietnam etc as well as western european grinders who want to play on soft fields and exploit weak opponents. Lately, US players have also started to become interested and join the new US PPPoker clubs due to the fact that US players have still few options to play such as a few offshore poker sites like BetOnline or Black Chip Poker. Thus, PPPoker app can no more be called only an Asian poker app, it has become useful for all segregated markets where online poker is currently restricted. Besides the ones above, there are different variations of them available depending on each club. Some clubs offers Heads Up cash games, others SNGs or MTTs. For PLO lovers, you can even find 5 Card PLO games. Most of the games are played at No Limit Texas Holdem and Pot Limit Omaha cash games. At the peak hours you can find 6-max cash games with plenty of tables for several stakes ranging from NLH/PLO20 up to NLH/PLO 1K. Open Face Chinese games are also running on several clubs. Coin value is subject to weekly review after settlement is complete. We will therefore provide Skrill or Neteller adress for sending the money and after the deposit has been made, coins will be credited to your PPPoker account, based on the currency exchange rate we use. We provide secure transactions, therefore all your funds are safe. Withdrawals are usually processed within 24 hours and cashouts are usually charged with 5% for most of the clubs. However, please contact us to check the conditions available for each club we offer. No matter if you play from desktop or your mobile device, using one account you can only join one table. Therefore, players who want to play from their iOS or Android mobile devices, have to create several accounts and use different devices to be able to multi-table. The same rule applies for desktop version. Only 1 table can be accessed from one account or device. However, by installing an emulator, you can multitable up to 5 tables from your desktop version. You still need though to register up to 5 accounts to be able to do this. RakeAdvisory provides free emulators for PPPoker app and offers support to help you configure the emulator. 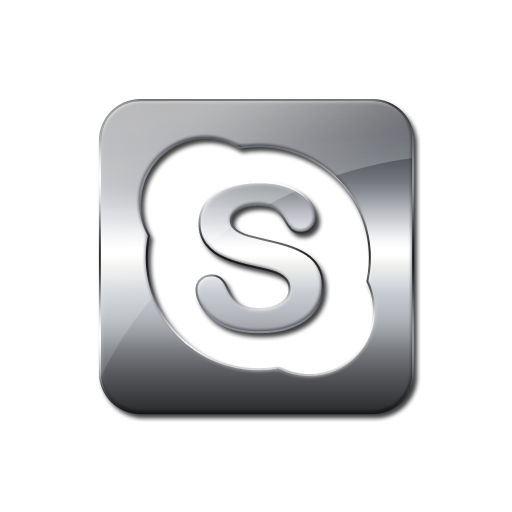 All you need to do is to contact us on skype: ID Asian.Poker.Apps and we will provide you link and details for how you can install the emulator for free. The play money mobile poker app has an in built tracker you can use which gives you access to some basic statistics for both your own play and opponents. You can for instance click on your players at the tables and check their VPIP. However, this free tracker does not have advanced stats. If you want to use a detailed HUD to better exploit your opponents, you need to get in touch with us and buy a hand converter. Being a play money app, you don't need to use any VPN. You can install the client lobby and register using any IP you want, without any bad consequences. All you have to do is to contact us for deposit and to get access to the clubs, otherwise you won't be able to play. How to Install PPPoker App? How to apply to a PPPoker club? Please Don't forget: We offer the most exhaustive list of PPPoker clubs, safe and secure transactions and great rakeback deals for grinders worldwide. Before getting started and depositing to play with real money, you can also request a test account from us to rail the action for all the PPPoker clubs we currently offer. You can check the action for NLHE, PLO and OFC games. Test accounts are free of charge and allow you to see the tables and players pattern without getting involved in the hands.